We are an independent Stairlift company based near Nottingham. We supply and install new, reconditioned and rental stairlifts in Nottingham and surrounding areas such as Arnold, Beeston, Bingham, Clifton, Hucknall, Long Eaton, Stapleford and West Bridgford. We service and maintain Stairlifts in Nottingham from leading manufacturers such as Access BDD, Acorn, Brooks, Bison, Freelift, Handicare, Otolift, Platinum, Meditek, Minivator Stannah and Thyssen. All of our work is carried out by trained engineers and guaranteed from just £85! We repair Stairlifts in Nottingham from just £85! If you need a Stairlift repair in Nottingham then call us now! Our Stairlift engineers can carry out a Stairlift repair in Nottingham the same day and have you back up and running in no time. Speak to our service team to book your Nottingham Stairlift repair today! All Stairlifts in Nottingham require an annual service to ensure reliability. If you are looking for a Stairlift service in Nottingham then we can service your Stairlift from just £85! Our 20 point check will help prevent and highlight any potential issues that may become a problem. Book your Nottingham Stairlift service today! For Stairlifts Nottingham Central Mobility supply, install and maintain new, reconditioned, straight, curved and rental Stairlifts Nottingham and surrounding areas. These include Arnold, Beeston, Bingham, Bramcote, Clifton, Hucknall, Long Eaton, Stapleford and West Bridgford to name just a few. If you are looking for an honest local company with reasonable rates then look no further. By completing our simple and convenient form below, we can provide you with a fast, free quotation in no time at all. For Stairlifts Nottingham Central Mobility supply, install and maintain new, reconditioned, straight, curved and rental Stairlifts Nottingham and surrounding areas. These include Arnold, Beeston, Bingham, Bramcote, Clifton, Hucknall, Long Eaton, Stapleford and West Bridgford to name just a few. By completing our simple and convenient form below, we can provide you with a fast, free quotation in no time at all. 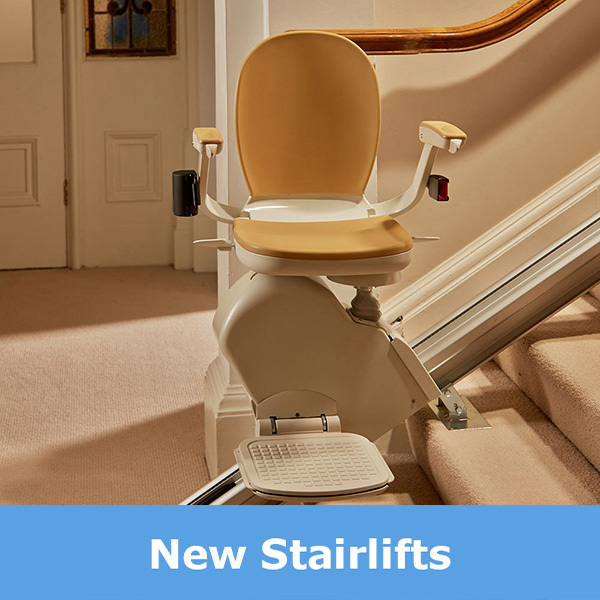 New straight stairlifts, fitted in Nottingham from just £1450! If you are looking to buy a new Stairlift in Nottingham then we have the latest makes and models to choose from. All of our new Nottingham Stairlifts come with a full manufacturers warranty which cover all parts and labour for 2 years. Installation time is typically around 2 hours and there is no mess, disruption or damage to the property. All of our new Stairlifts to buy in Nottingham are battery powered to ensure reliability and low running costs. Click to see our wide selection of new Nottingham Stairlifts. If you are looking to buy a new Stairlift in Nottingham then we have the latest makes and models to choose from. All of our new Nottingham Stairlifts come with a full manufacturers warranty which cover all parts and labour for 2 years. Installation time is typically around 2 hours and there is no mess or disruption. 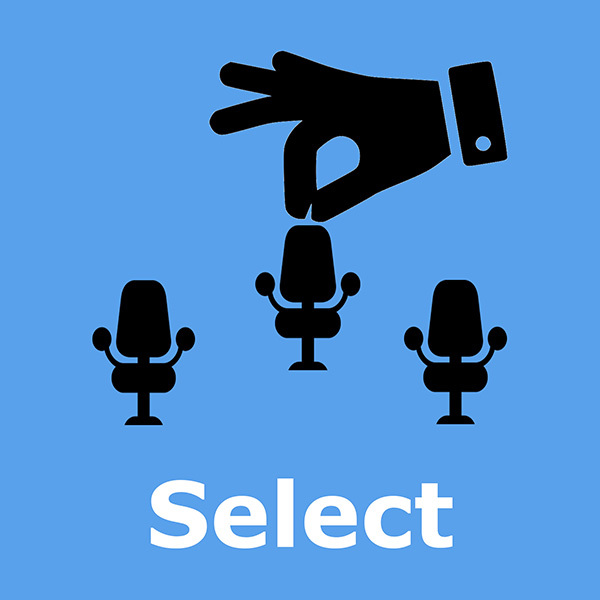 Click to see the wide selection we have to offer. 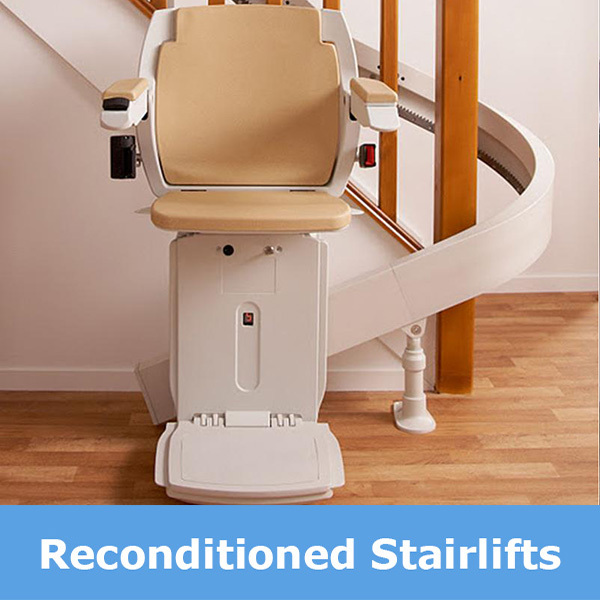 Reconditioned stairlifts, fitted in Nottingham from just £900! We have a large range of pre-used Nottingham reconditioned Stairlifts that we have fully refurbished and are in 'as new' condition. All of our Nottingham reconditioned Stairlifts come with brand new batteries, a full 12 months 'no quibble' warranty and genuine after sales care package. Most of our reconditioned Stairlifts in Nottingham can be fitted next day and are less than 1 year old. 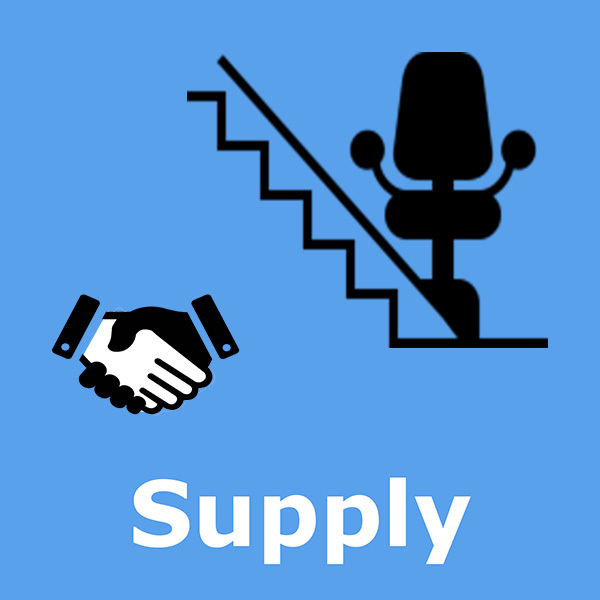 We provide an 'out of hours' support number for all of our customers and our after sales service is legendary. Get a great deal today! We have a large range of pre-used Nottingham Stairlifts that we have fully refurbished and are in as new condition. All of our Nottingham reconditioned Stairlifts come with brand new batteries, a full 12 months warranty and after sales care package. Most of our reconditioned Stairlifts in Nottingham are only 1 to 3 years old. Get a great deal today! 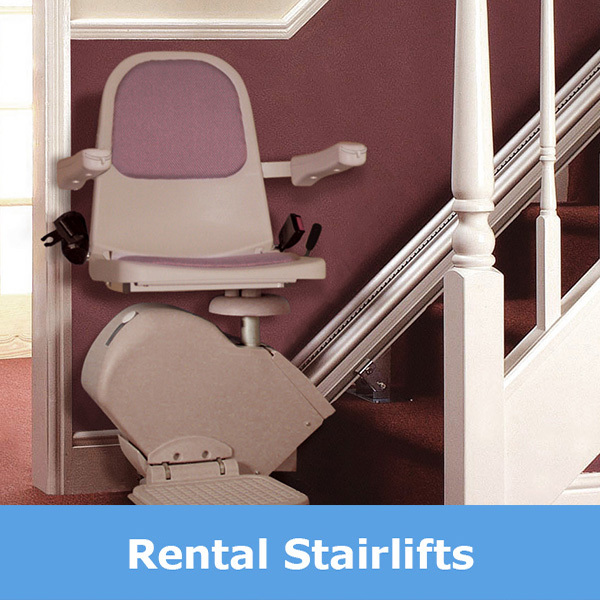 Rental stairlifts, fitted in Nottingham from just £10 per week! If you are looking for Stairlifts to rent in Nottingham then our Nottingham rental Stairlifts scheme could be just what you are looking for. No minimum or maximum length of term, no contracts and everything is taken care of in a simple monthly payment. In fact, it's more like 'pay as you go'. Our install charge is £400 and the rental cost is £40 per calendar month for a standard straight Stairlift. For more information about how it works and what it costs to rent a straight Stairlift in Nottingham, use the link below. If you are looking for Stairlifts to rent in Nottingham then our Stairlift rental scheme could be just what you are looking for. No minimum or maximum length of term, no contracts and everything is taken care of in a simple monthly payment. In fact, it's more like 'pay as you go'. Our install charge is £400 and the rental cost is £40 per calendar month for a standard straight Stairlift. For more information about how it works and what it costs to rent a straight Stairlift in Nottingham, use the link below. If you own a Stairlift in Nottingham then our stairlift engineers can provide a full range of services within this area from just £75 to help you keep it in full working order. These Stairlift services include servicing, maintenance and repairs. We also provide stair lift removals for when it's no longer required or for if you want to have a new carpet fitted. We cover most makes and models of Nottingham Stairlifts, even if they were provided by others and we always want to buy good quality used Stairlifts to recycle. 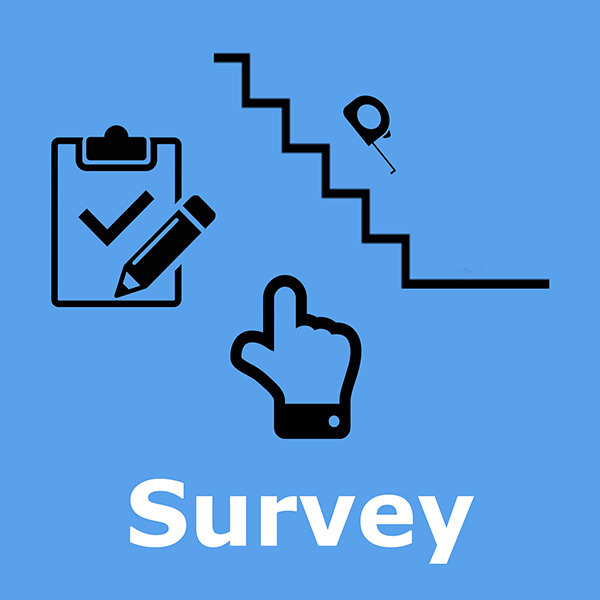 Why not try our exclusive express 'Survey, Select & Supply' service! Get a fast FREE quote in minutes! For Stairlift service and maintenance in Nottingham, Central Mobility provide a Stairlift service scheme. We want you to enjoy the benefit of your Stairlift in Nottingham so a Stairlift service and maintenance in Nottingham is carried out by our own Nottingham Stairlift engineers to help keep your new Stairlift or reconditioned Stairlift in tip top condition. A Stairlift service from one of our Stairlift engineers could save you the expense of replacing an expensive part if we spot it in time. A regular annual Stairlift servicing and maintenance multi point check by one of our fully qualified and experienced Nottingham Stairlift engineers starts from just £75! In fact, in some cases a simple Nottingham Stairlift repair or Stairlift part can amount to more than the cost of an annual Stairlift service in Nottingham. Occasionally Stairlifts breakdown, stop working and need repairing. We can provide a 24/7 call out service for Stairlift repairs Nottingham on most makes and models of Nottingham Stairlifts that may breakdown and are not covered by an existing warranty or care plan in Nottingham. Apart from the inconvenience, a Stairlift repair can often become costly if not attended to in time. If you don't currently have a Stairlift repair care plan or warranty in place then simply pick up the phone or email us and we will arrange a convenient time to call and visit. Our Nottingham Stairlift engineers carry many Stairlift parts for most makes and models and will have you back up and running in no time. Our callout charges in Nottingham are extremely reasonable and start from £75 and we don't usually require a return visit either.